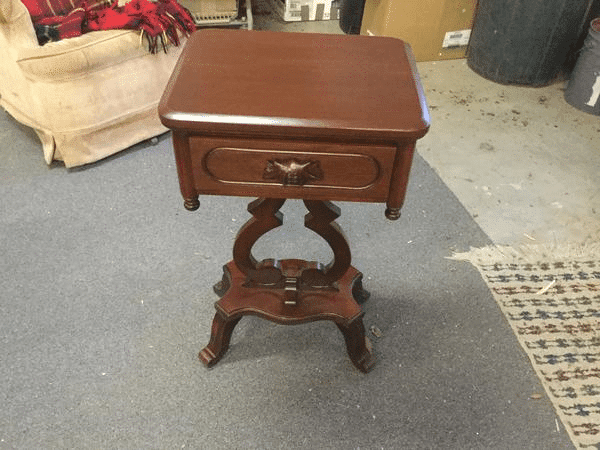 Refinished this way cute end table for a customer. It had severe sun damage. Fun bringing it back to its original beauty. 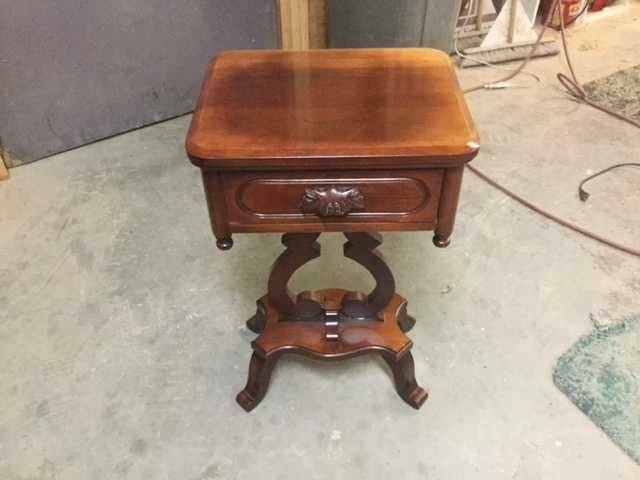 Customer loved that I was able to match it to her other furniture.